A new friend on twitter, @kmhuziak, got me thinking about a blend. The last two avocados on the table also got me thinking about what kind of blend to make. The aging carton of strawberries in the fridge sealed the deal for me. Now, a little while later after a walk through the forest I just finished blending and had the first taste of one of the most delicious blends I’ve made in a long time. An evening drink, if you will. 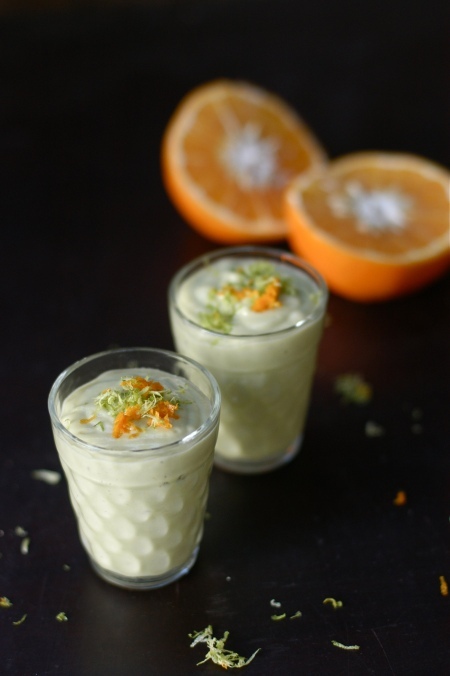 Blend that baby to your hearts content and fall in love with an evening snack. Note: I am always cautious when it comes to blending avocado, I like to not blend it as much because the more it bruises, the browner it gets. Adventure exercise: try some fresh basil or mint, with a dash of lime for extra zing. Love to hear how you like it! 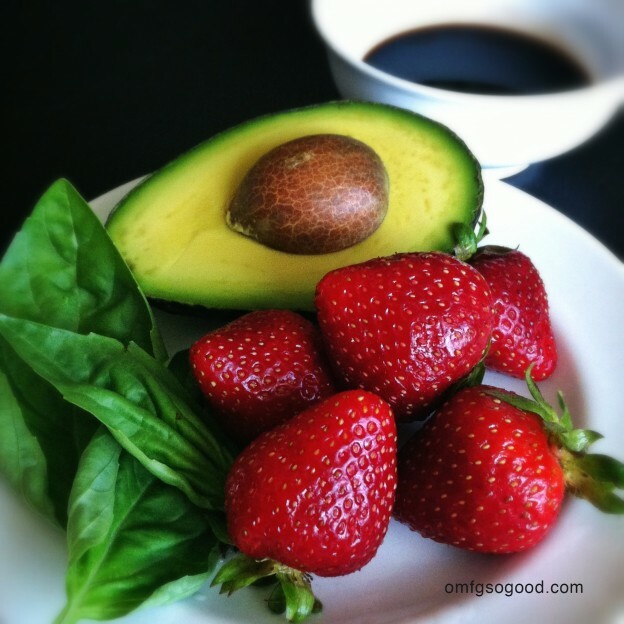 This entry was posted in Blends & Smoothies, Recipies and tagged almond milk, avacado, ice cubes, salt, strawberry on May 28, 2013 by Mind Soul. 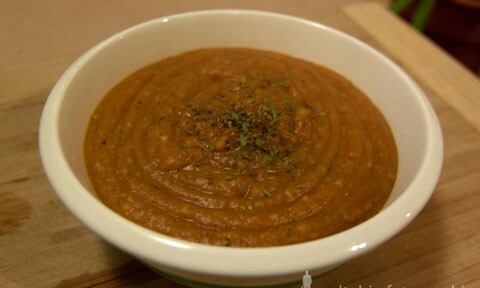 The carrot and yam soup is a delicious number on account of the strong flavor of the yams. Not only is it delicious, but it warms you to the soul! To start, get about 4 cups of water boiling (depending on the size you’re planning on making). Peel the yams, and chop them up into cubes to get them cooked as quick as possible. Put them into the boiling water. Then wash and dice the carrots, as well as the garlic and onions. Put those into the frying pan, with a spoon of butter and fry them to bring out some flavor. You know its ready when the onions have turned a clearer color. When these are done, put them into the boiling yams and add the split lentils and the barley. Add all the spices you want, I went heavy on the ginger, salt, pepper, and oregano. The chili powder and the paprika added a nice flavor. I find that in soups, all the spices become less dominant, so don’t be afraid to put a lot in. Let this boil for about 15 minutes so all the flavors mix and the split lentils and the barley cook properly. When this is done, stick it into the blender, and blend it up! I usually have to do it in about 2 or three portions, for the soup tends to be thick and it doesn’t fully mix in the blend. Don’t forget to take out the bay leaf though! Put it back on the oven and put it on low heat (simmer) for about another 10 minutes. Stir it constantly and keep it covered so splattering doesn’t occur. 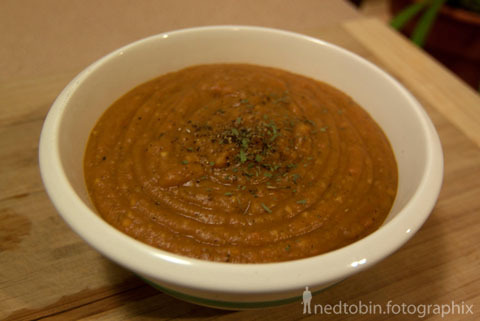 This entry was posted in Recipies, Soup and tagged barley, bay leaf, blender, boiling, butter, carrots, chili powder, garlic, ginger, lentils, nutmeg, onion, oregano, paprika, pepper, salt, water, yam on March 24, 2013 by Mind Soul. I’ve been thinking, after my 10 day fast, that I needed to start making more variety of blends, to spice things up if you will. 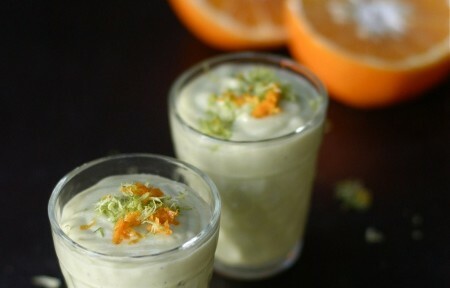 So I’ve found this in my searches: An avocado-banana smoothie. I will make my own variety of this, without the yogurt, but OMG this sounds and looks delicious! I’ve never thought of using avocado in a blend before! recipe taken from Lindsay Cooks. This entry was posted in Blends & Smoothies, Recipies and tagged avacado, banana, blend, blender, ginger, lime, orange juice, salt, smoothie, sugar, yogurt on March 24, 2013 by Mind Soul.